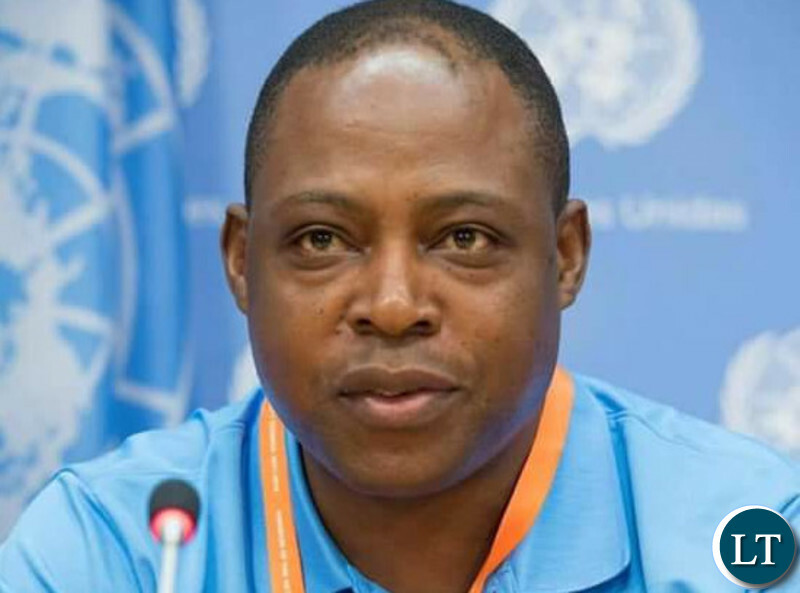 Zambia’s Celebrated football icon Kalusha Bwalya says the reprieve of his two year ban by FIFA appeals committee will allow him make positive contribution to football administration. Kalusha says he is happy that the truth has prevailed and his innocence proven, although under difficult circumstances. The 1998 Africa footballer of the year said his initial two year ban from football administration was unimaginable as it prevented him from doing what he loves most. He said the period of his suspension was a difficult period for him and his family including people that have supported his football career. Kalusha said the earlier decision by FIFA to suspend him from football activities came as a shock to him, owing to the fact he had never faced any disciplinary action during his entire footballing life. He added that he was confident that the truth would prevail despite the stigma that is associated with an Africans. “I was confident that the truth in the end would prevail, but you never know because there are so many things that can influence a decision and also coming from Africa, there is a lot of stigma that comes with it,” Kalusha said. He has since thanked the FIFA appeals committee for having listened to his case favorably. Kalusha, commonly known as The Great Kalu in the football circles, also expressed his gratitude to government officials, football administrators, football players and his former playmates for giving him strength and comfort during his suspension. “I am glad it’s over and I can get on with doing what I love the most and that is being involved in football, and making a positive difference. Football is my life,” he said. The football icon was speaking in Johannesburg, South Africa, in the aftermath of FIFA appeals committee reprieving his two year ban which was slapped on him following allegation of impropriety by the world’s football governing body. Last week, the FIFA Appeal Committee partially upheld the appeal lodged by Kalusha Bwalya and reduced the sanction previously imposed by the adjudicatory chamber of the Ethics Committee in its decision dated 12 April 2018. As a consequence, the ban imposed on Mr Bwalya ended upon notification of the decision of the FIFA Appeal Committee. Furthermore, a fine of CHF 10,000 had been imposed on Mr Bwalya. Kalusha Bwalya officially endorses President Edgar Lungu at a rally in Kabwe. Bemba deception at its best. This is the 6/10 the Easterners talk about. Come on, somebody educate me here. If you innocence is proved, isn’t your sentence supposed to be scraped and your conviction quashed? Since when is a reduced sentence handed to innocent people? Since when do innocent people pay CHF 10 000 for a crime they did not commit? What is going on my fellow Bemba man here? I guess you did not steal the money, you just picked the money, as the famous Bemba saying goes. I think if you have a sensible PR man, you will be advised to keep quiet, with the Internet FIFA will pick this up and issue a comprehensive statement and put it in the public that you are Convicted Corrupt Leader. Better lay low for now. I think that 10,000 could be administrative fees. Besides Kalu might also paid lawyers to help him, legal fees are bribes too. Even in local courts sometimes you are asked to pay a pumpkin to the court as service fee. Really laughable…he thinks he is talking to fooools where has he been proved innocent? Why is he paying the money then or why is Bowman paying for him? Kalusha thinks all Zambians are F00LS. Yes, you have done great for Zambia but don’t us for ID10TS. YOU WERE FOUND GUILTY. YOU ARE STILL GUILTY. THE ONLY THING THAT HAS CHANGED IS YOUR SENTENCE HAS BEEN REDUCED, TO REFLECT YOUR CRIME AND CIRCUNSTANCE. Like I have said before. You are a COMPULSIVE LIAR. And you are doing it right now. Kalusha.. You stayed in my London flat in the 1990’s. Please don’t reduce yourself to the this level. Kindly reverse the sentence to its original weight. Kalusha is failing to HUMBLE himself. Plus publish all the case for everyone to see. The Galu was pleading for leninence..he gets it ..now starts bragging about him being innocent. The guy used all the $80000 on luxury he can nt even pay $10000.This guy is not very smart no wonder he is constantly in debt as he never learns and I can never have sympathy for such chaps like Tayali. Kalusha Bwalya truth is that you committed a crime. That’s all. I dint know that Kalusha Bwalya is also a comedian. Suspension served on top of 100,000 CHAF and he calls it innocent proven. Bembwa Kuwayawayafye mwe. Anyway naka Sukulu palibe a Kalusha. FIFA iyanganepo. You wonder why he is close to PF ministers and Lazy Lungu as to them this is nothing stealing, receiving bribes is part of their culture. i hart people like chief bootliker who instead of sticking to the main issue, they think about tribe. what about Lyato when he berried 2bilion why did you not scandalized the Lozi people? what about Muteteka Moses who diverted hummer mills was Lenjes scandalized? why do people hart bembas or any tribe for that matter and claim to be people of God? i wonder which God they believe. Have mercy on such people Lord for they do not know what they do. Jay Jay is only vocal against Kalusha never against Kamanga what a prejudiced man obviously with a bone to pick! Ponga – I have a bone to pick with corrupt people like Galu..who need to steal to finance their fake lavish lifestyle!!! Racial card? Fifa should have written the letter in Bemba. Kalu is missing a point. You are not innocent. Mind what you say, you may be sanctioned again. This is the same mentality he had at Football House…taking money from the till (tickets, sponsorship..)for his personal expenses was the norm. Just keep quiet to avoid more troubles, if you were innocent there wouldn’t have been any fine on you. we are happy you are free and looking forward to your contribution to the game, but keep quiet, get some monkey meat and celebrate your Resurrection. Stop trying to lie your way out kalu….you still have been fined , innocent people don’t get fines …..just appologise, as a lapse in judgment…..not all Zambians are dull…. Just ignore these good for Zambian critics who have done nothing for Zambia compared to what you have done and continue to do! Zambians are so full of negative energy and it’s amazing how they can’t just mind their own business! Anyway, most of them are Chickens! They will never think and soar like Eagles! Ignore them! Great Kalu remains the best footballer Zambia has ever produced! Zonda chikubabe! Mungulu you have shown your mungulu! This man has a stench and of stain of corruption on him. Your comment and reasoning is testimony of the state of the nation. You justify a wrong and in the end corruption is not a crime anymore. You are an embarrassment. These are the same corrupt people who think stealing is being clever…. The Chickens above have just attacked me as if it was their money that Kalusha got! A gift is a gift! Well done Kalu for accepting the gift! Don’t listen to these holier than thou religious fanatics! Even Kalu himself termed it as a loan when he was caught…. Uli wamungulu iwe cacine. Elo umungulu ne ngulu, fyendela pamo. Uli wa mungulu iwe cacine. Elo umungulu ne ngulu, fyendela pamo. Again, the same pompwes who think being a theif is being sharp …..
Kalu used to make his own FAZ kit and sell his own tickets for games to stadiums and pocket all the proceeds ……yes he won the Africa cup for Zambia but he has done more for South African football where he lives than for Zambian football, his mother land……he’s a let down. I am Bemba and beg to differ with the ‘Great Kalu’ if your sentence is reduced and you still pay a fine even if it’s a one dollar you are not innocent so please Kalusha Bwalya shut up. We all admire your contributions to Zambian football. but please spare us more embarrassment of your indiscretions in the Administration of football, keep a low profile and be honourable if you are able too. Utter rubbish. Where on earth have you seen the guilty paying over CHF10,000 for a crime they did not commit. The guy is guilty and should just swallow his pride because very soon FIFA will get wind of it and hammer him where it pains most. This is the worst case I have heard in recent years. Kalu just appologise……also we all remember how you also tried to take away the bus donated to FAZ ….you were forced to hand it over from South Africa…. A thief remains a thief when people recall what was stolen from them. FIFA may have reduced their ban, you remain a thief. That’s the more reason you issue your statements from South Africa and not in Zambia, may be the more reason you are a thief. All of you who are condemning kalusha Bwalya ati corruption corruption, ask your self if you are clean before you become the first to cast the stone. So to you corruption and stealing in public office is normal ???? A lot of ignorance about FiFA rules on this blog. He was charged 10,000 for breaching of confidentiality. 10,000 for receiving a bribe plus 80,000 for the amount of bribe. Definitely innocent on the second charge which is serious and as a result 90,000 squashed. Stop commenting on everything as you just display ignorance. Mmmmmm badala, not according to the FIFA website , the fine of 90k has been reduced to 10k , there is no 2 parts of that fine. It is one fine…. Can you read the report on the FIFA website posted above and tell us where you saw a criminal charge ??? Has he paid back the US$80,000? If not how can it be quashed because he did receive the monies and admitted to it though reason he gave a different one. As facts stand he needs to pay the $80,000 either back to sender of to FAZ, who were the intended receiver’s. Kalusha has not been proven innocent. He is as guilty as charged with the fine to be paid. If he is innocent then so are all the criminals who have been charged for corruption by fifa including sepp blatter. He did a lot of damage to Zambia, and Maureen Nkandu. He needs to shut up and enjoy his wealth some where else. He is a crook and we are tired of Kalu now. What are you exactly tired of? Don’t say things you don’t know. Do you even know what happened to Kalu and Maureen? It’s pure hatred and probably jealous, how can you same bloggers comment repeatedly and nagatively about Great Kalu. Take care of your own baggages and leave Kalu alone. Insult politicians who are stealing from your pockets. You think if he was surely guilty those racist whites could have listened to his appeal and let alone change position? You are exonerated great Kalu, walk tall and let the game start man, we are happy happy for you! Iwe twala umungulu bobe ukutali. You are just vomiting nonsense. Are you suffering from mouth diarrhea? It’s true,that’s why I said who ever has not done similarly to what kalusha did, let him be the first to cast the stone. Great Kalu is great. Most of you who have achieved nothing in your useless life thot the guy was now finished. FIFA has lifted his ban period. He is still great and a legend. You will never match his record. Kalu you are the greatest sportsman in Zambia and among the best on the planet. This is true, whether they like it or not. Brother mine, the truth of the matter remains that you’re a convict of corruption. If I were you, I would have apologized to the world for your foolish participation in the world’s most hated crime. You’re a selfish fellow who does not appreciate what God has already offered you. Say sorry dear. Millionaire B R Mumba Snr, your take on these fools here 24/7 trying to tarnish us hardworking. I am glad Kalu has been exonarated even he has to pay a small fee in existential and logical fees. “……but you never know because there are so many things that can influence a decision and also coming from Africa, there is a lot of stigma that comes with it,” Kalusha said. It is because you are African that your fine has been reduced, if you were European , that would have been the end of you. In Europe no one will touch you, not because you are black but because of the strong perceptions against corruption of any form. AT TIMES ITS BETTER TO KEEP QUIET. CANT TAKE AWAY ANYTHING FROM GREAT LUSHA AS A PLAYER BUT HIS STATEMENT IS OUT OF ORDER. I really never rated this guy off the pitch. And now that he spends all his time off the pitch, I don’t rate him at all. A selfish, self-serving and entitled man as nonsensical as a political party cadre.